Average monthly expenses for this provider are about $4,092. The Marietta estimate for this level of care is about $3,432. While the nationwide estimated cost is about $4,800, Georgia comes in at $4,320 per month. Angel Companions does an incredible job caring for seniors around greater Atlanta! I highly recommend for all in home care needs. 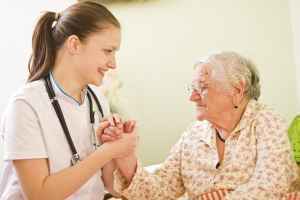 Angel Companions provides professional, caring, and personalized senior in-home care throughout all 27 Metro Atlanta counties.